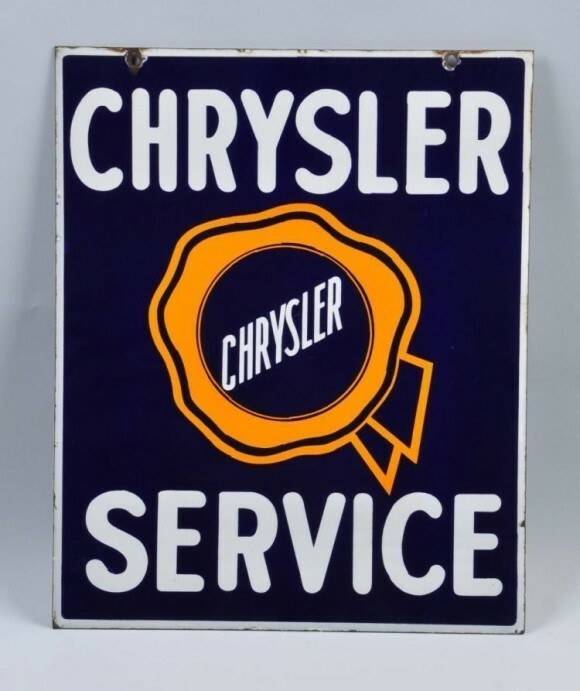 This navy blue and vibrant yellow Chrysler Service Double Sided sign measures 22″ by 18″. The sign has a small white boarder that runs the outside, and there are holes at the top for mounting. In the center of the sign is a “stamped seal” that has the word “Chrysler” in the center.